Although this challenge is based on Pinstar’s Legacy Challenge I do find certain rules to be too limiting so I’ve decided to alter/omit some. No points system. Just playing for fun! Strict Matriarchy – Only female heirs voted by readers can be elected to carry on the legacy. 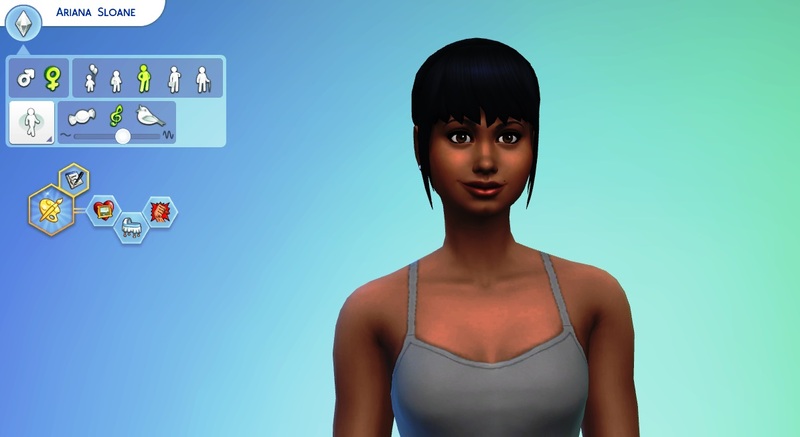 This sim must be born of the current legacy heiress in order to inherit the legacy (i.e. Adopted children and stepchildren are ineligible). If the heiress dies an unexpected death then the sister with the second most votes will become the new heiress. If the heiress dies but has no sisters then a female first cousin will fulfill the duty of heiress. If there is more than one female first cousin to the heiress then there will be a vote to determine which one will become the new heiress of that generation. Voting will take place once the youngest female born to the current heiress becomes a teenager. No restrictions on marrying or moving in rich Sims. Heiresses can also marry Sims that I create or download from the Gallery. The heiress must always live on the legacy estate from the time she assumes her duty as the heiress. Once she is the heiress she can never move out of the home otherwise she will forfeit the title. If a Sim does not live on the estate but was chosen to be the heiress, she must move in immediately upon receiving the title. An alphabetical naming scheme will be used which means each child that is born to the heiress is named using the next letter of the alphabet. No money cheats but other cheats are fair game. No anti-aging items. No use of essence of life from cow plants, ambrosia, or youth potions that can be used to prolong a Sim’s life. Death flowers cannot be used to stop a Sim’s death. I’ll use the Random Trait Generator from the SimsLegacyChallenge.com to generate traits and aspiration of the heiresses and other children born into the family. The traits will be rolled after the baby is born but before they become a child. I use the one to generate all traits at once located here – that way I can better plan my stories knowing how the kids will turn out. All heiresses will have a different aspiration from the previous ones. Aspirations can change only when the heiress has completed the one she was assigned upon becoming a teen. The Challenge ends when the 10th Generation child becomes an adult rather than when the 10th Generation is born. If you’re new to this blog, you can start here, the beginning of the Sloane Legacy. Check out my other blog Eddie Sims World for more Sims 4 related stories and challenges. I’ll be sure to post the award and list my nominees within the next couple of days. Thanks again! Yay! I love your legacy so much! Uh — I nominated you too. What can I say? I like your blog. Hi Eddie! I’m almost finished with my questions for the Leibster. Thank you again for nominating me! Glad to find your legacy blog. I’ve added it to the Sims Blog page at Jonathan Chronicles. Oh wow, thanks a lot! I have a wedding coming up soonish, so if you haven’t tried it yet I’ll let you know lol. I had given up on it too, frustrated me too much lol.